NOUT is one of the 20 leading publishers of integrated management solutions (ERP) in France (according to CXP). 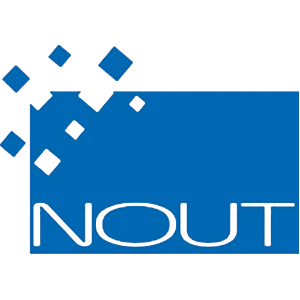 NOUT was founded in 2006 by Miren Lafourcade and Jérôme Olivares, two former PC SOFT engineers. Our core business is the publishing of fully customizable management solutions. The team is made up of 17 collaborators. Today, NOUT has completed more than 250 projects without any specific development for more than 12,000 users. NOUT is one of the top 20 publishers of integrated management solutions (ERP) in France (source CXP). Because we are convinced that it is up to the software to adapt to the company and not the other way around, NOUT offers a range of ERP and CRM that stands out from the competition for its extreme flexibility. Thanks to the functional richness and adaptability of SIMAX, NOUT has proven itself to the big names but also to companies on a human scale. SIMAX allows companies to benefit from a tailored management solution without any software programming, thanks to a simple and complete configuration mechanisms that enables you to adapt all screens, statistics, processing, alerts, access rights, controls, reports, and more, to meet your needs. With SIMAX’s unique technology, NOUT has won the several prestigious competitions, including the 2006 French Ministry of Research competition, 2006 Senate Research Contest, 2007 Progiforum Technology Prize, and RAD Race in 2014 and 2015 in the Netherlands. Interestingly, the RAD Race is an international programming competition that NOUT won without programming, using our system of creating functionalities by parameterization. SIMAX first made a name for itself with small- and medium-sized enterprises (SMEs), as traditional solutions were unable to meet their broad-ranging and specific needs within limited budgets. Since then, SIMAX has attracted more mid-market companies, and big names in the trade, industry, and service sectors, including prestigious clients such as the Chêne Vert Group, the leading company in France in the veterinary sector; Univers VE Helem, France’s 9th largest electric vehicle manufacturer; TaM, the Montpellier public transport company; and many more. We continue to expand our services with even larger companies. With SIMAX, no modules are obligatory. For example, you may choose to use SIMAX synchronization with Exchange, IMAP, or Outlook instead of SIMAX messaging. Thanks to the solution’s adaptability, SIMAX can integrate specific parts of your business processes by simple parameterization, replacing specific applications and MS Excel® tables by integrating information directly into ERP functionality. For any company, implementing a management solution can be a complex undertaking. Companies are often tempted to choose the market’s standard business management software, even if it is not particularly well adapted to their methods. They also frequently use specific solutions and spreadsheets to complete these tools. In the end, this type of solution leads to a loss in productivity and does not allow managers to control key information for their activity. Worse, such solutions can give teams the impression that company managers are improvising, rather than seriously addressing the situation. With a very modest investment, SIMAX allows you to integrate the methods and specific aspects of your company without programming. NOUT’s value added is to implement highly effective systems quickly at a very reasonable cost. Productivity gains observed by our customers with SIMAX show that Return on Investment is typically about 18 months. Having implemented hundreds of projects, our team and network of certified partners are ready to assist you in any field. Today, with 10 years of existence, new prestigious clients and a unique technology, NOUT intends to become the number one player in France in the management software sector. Do you have a question? A project? Use this quick form to contact us and we will get back to you as soon as possible.